Mattel recently faced a barrage of criticism after a blogger excoriated them for the story and language of the book Barbie: I Can Be A Computer Engineer. 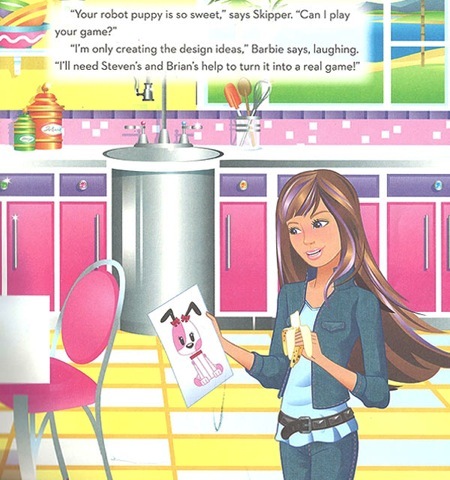 The book, in Barbie’s “I Can Be…” series and published in 2010, has now been discontinued. But it continues to provide an interesting look at how, while some comments and word choices may seem benign individually, when combined to represent the language of a culture, it can be seen more clearly as a subtle yet endemic problem. The meaning of both versions is largely the same, but the belittling terms “only,” “need” and “help” have been removed or replaced. And rather than “laughing” at Skipper’s assumption that her game might actually be functional, she instead “explains” that design is one part of many in the process of game creation. Barbie has issued an apology on Facebook, the book’s author has commented on the controversy, and Mattel has removed the book from online distribution venues. Regardless, the internet has continued to have fun creating alternate versions of it. You can even make your own! 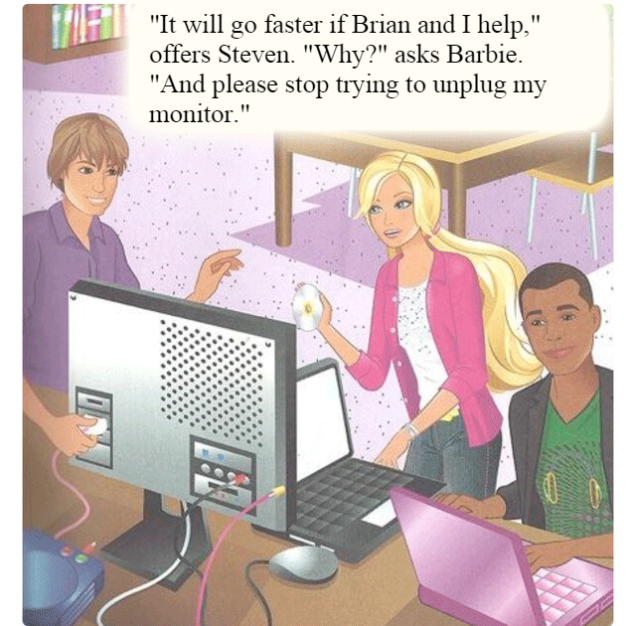 While Barbie has been no stranger to feminist debate over her long life (remember “math is hard“?) many people have been surprised at the quality and entertainment value of some other recent Barbie-related media, such as the 2009 DVD Musketeer in Pink (Barbie is D’Artagnan!) and the not-awful short video series “Barbie Life in the Dreamhouse,” now in its fifth season. Next Article New: The Supernatural History Series!